The third Asian Zoo Educators’ Conference (AZEC) was held at Taipei Zoo from September 18-22, 2011. A total of 77 participants from 14 regions attended the conference. “Focus On Rainforest ‧ Eco-System Thinking” was the theme of the conference. Participants of the conference shared their perceptive insight on the conservation of our natural resources and the protection of the valuable ecosystem. 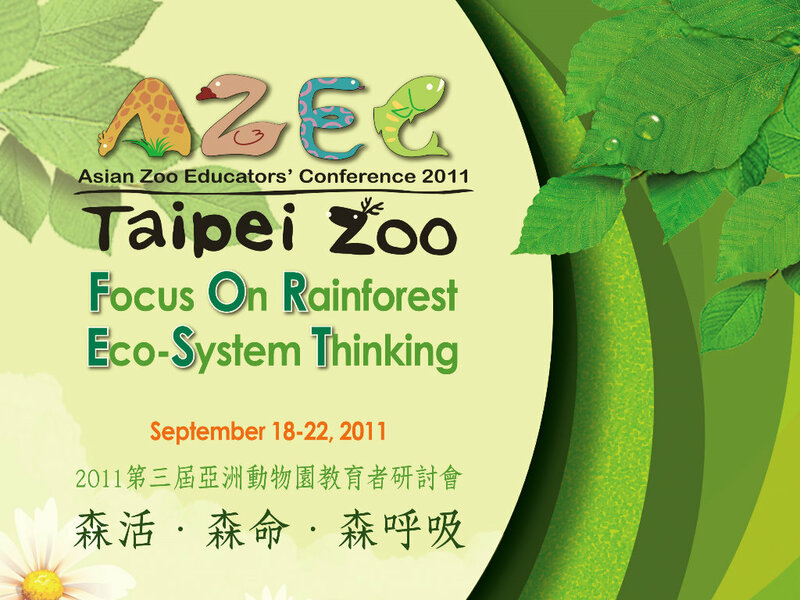 The third AZEC was held at Taipei Zoo from September 18-22, 2011. "Focus On Rainforest ‧ Eco-System Thinking" was the theme of the conference. And it ended successfully on September 22 at the entrance plaza at Taipei Zoo. Participants had a very good time during the third AZEC and were impressive by the hospitality of people in Taiwan. They admired Taiwan as a beautiful country with interesting culture and biodiversity. Taipei Zoo thanks to all the delegates from the bottom of heart. Meanwhile, we hope to meet everyone again at the next AZEC in 2013 host by Japan.